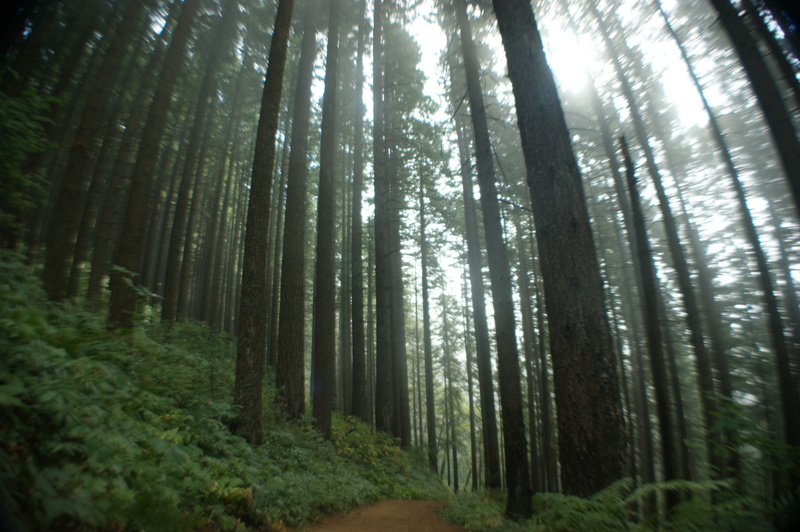 Hiking in the Pacific Northwest is usually a photographer’s dream with varied landscapes & color schemes. This photo was taken this past week near Multnomah falls in the Columbia river gorge in Oregon. The clouds were hanging on the tops of the fir trees & the sun was trying to peak through creating a mystical effect. 21 Sep	This entry was published on September 21, 2012 at 10:20 pm. It’s filed under Photography, Uncategorized and tagged Columbia River Gorge, fir trees, hiking, landscape photography, Multnomah Falls, Oregon, Outdoor photography, pacific northwest, photography, photos. Bookmark the permalink. Follow any comments here with the RSS feed for this post.